Greetings! Yesterday the World of Warcraft expansion, Warlords of Draenor, launched so I kinda got sidetracked with that! I have been playing WoW off and on for awhile now. I tend to quit playing for months and months at a time, and then re-subscribe right before a new expansion. 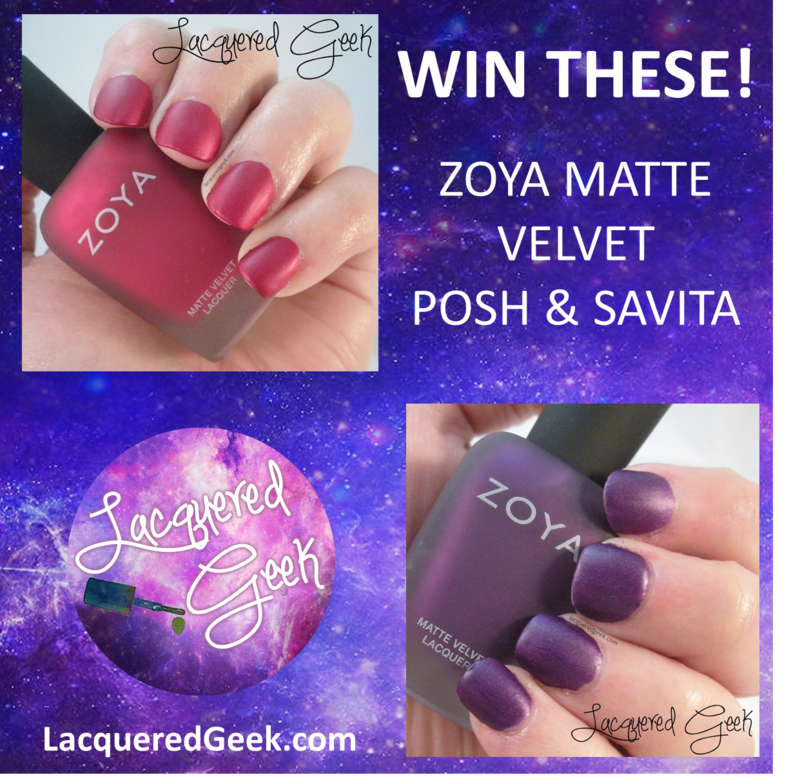 Just wanted to do a quick post today to remind you that my Zoya Matte Velvet Posh & Savita polish giveaway ends in 2 days (on November 16th)! Be sure to enter and get those daily entries in! Hope you all have a great weekend! I'll be playing WoW!